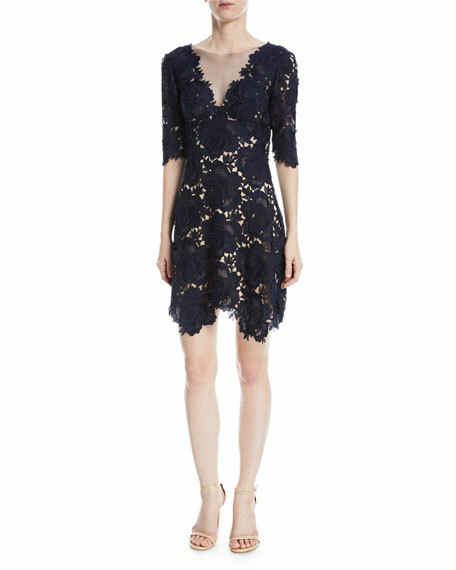 Catherine Deane "Kaya" rose lace mini dress. Illusion V neckline and V back. For in-store inquiries, use sku #2518148.